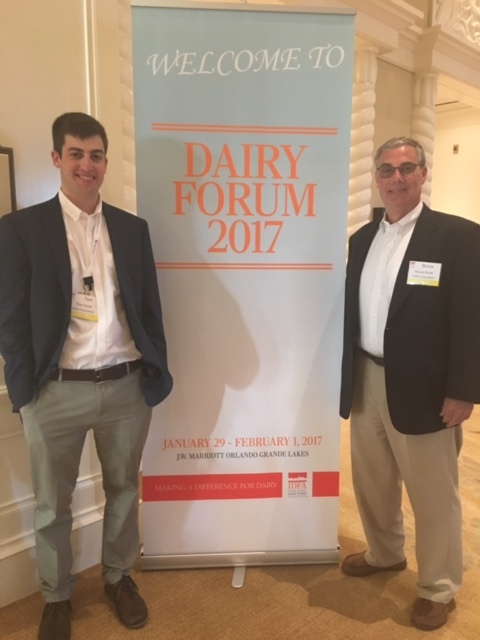 The International Dairy Foods Association held their annual Dairy Forum in Orlando, Florida this past week. In attendance were over 1,000 processors, producers, suppliers, retailers, policy makers, academics, and media members all with their own ties to the dairy industry. Included in that audience were our own Bruce and Tom Scott, who gave Catty representation at the Forum for the first time. The event was held over four days and included some fantastic individual speakers as well as many informed panelists. Topics ranged from global outlooks of the recent political shifts, to specific policy overviews that are affecting the industry. Overall the IDFA put together a fantastic selection of speakers that gave a great overview of the pressing issues of the industry. « Catty Corp starts Toys for Tots Tradition	» Catty is back on Social!